Passing along westbound on 7th Street at Martin Luther King (MLK), resident Tony Martinez stops and stares in wonder toward the south. “It’s finally open—gorgeous, isn’t it?” he asks me as I point my camera at Gumbiner Park, Long Beach’s newest green space in one of the city’s most park poor areas and one filled with a beautiful history. After years of ups and downs, with hopes of having opened nearly three years ago, Gumbiner Park is now a reality. Traffic-wise, the new proposal has an interesting addition: Alamitos roughly marks the line where westward, streets became one-ways minus a handful of streets that had been east-and-west connections. This was one of the many problems of the trisection: the convergence and divergence of one-ways and two-ways causes a massively convoluted transition for commuters. Now, two-way traffic extends west of Alamitos until Atlantic as people traveling eastbound on 6th now divert to 7th via Atlantic instead of the former option of Alamitos. Initially, such proposals—particularly in dense neighborhoods like North Alamitos Beach and DTLB—are met mainly with complaints about the loss of parking spaces. Whenever I discuss my desires for eliminating a lane on Broadway between Junipero and Alamitos in order to expand the sidewalk and slow down traffic, the first question I always receive is: Will that eliminate any parking? One mother was frank, asking if there will be a slide and swings because that’s all her children need: a slide and swings — not a conceptual jungle gym-style arrangement. Another wanted to know about restroom access. 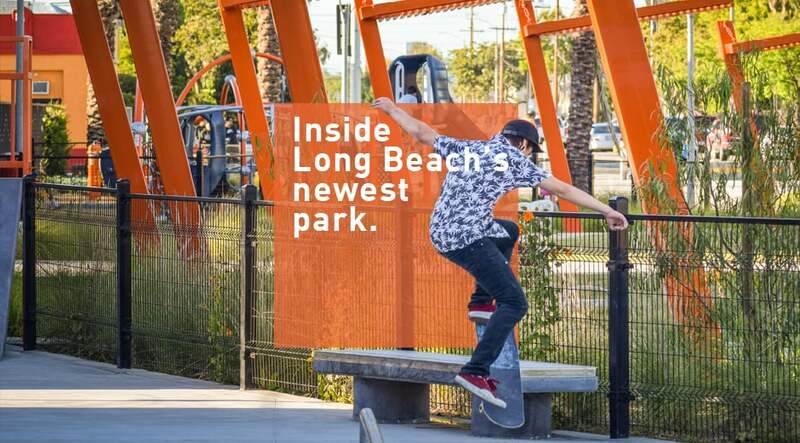 A third wanted to include skateboarders in the design of the proposed skate area, while another wanted to emphasize the assets that MOLAA and PieAM provide, therefore making pedestrian access most important — not car accessibility.